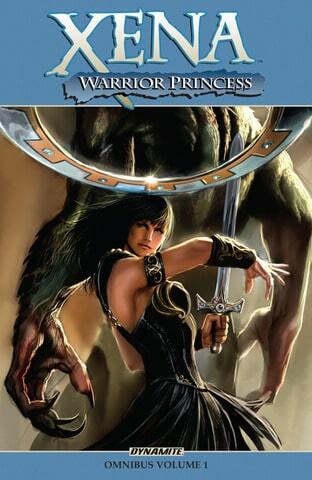 Christy Marx's run on the hit series continues in this action-packed volume, featuring a GOTHTOPIA tie-in! 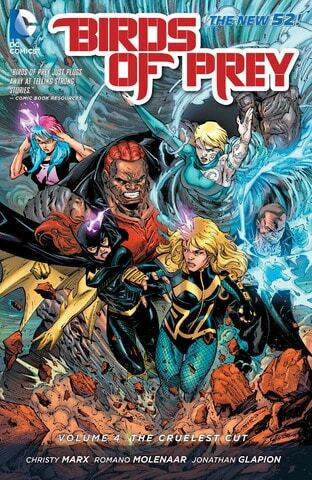 We reach a major turning point in the series as the Birds find a new benefactor and a new mission to take down one of the ancient evils of the DC Universe: Ra's al Ghul! Black Canary confronts Ra's al Ghul, who makes her an offer that could save her husband! Is she willing to pay the ultimate price? 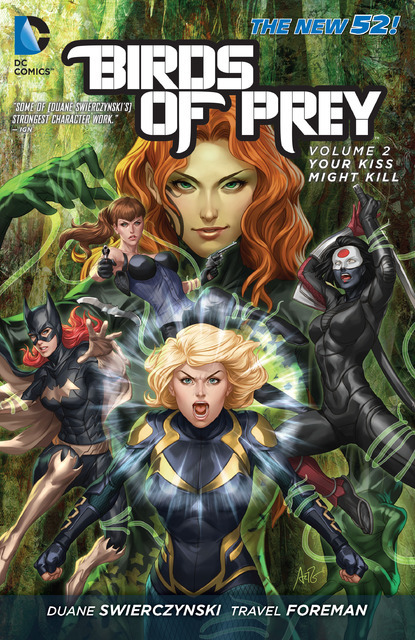 Collects BIRDS OF PREY #25, #27-34 and BIRDS OF PREY: FUTURES END #1. Black Canary, Starling, Poison Ivy and Batgirl. 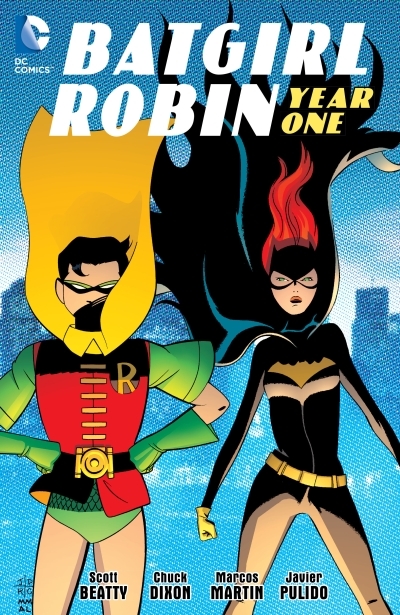 Together, as Gotham City's covert ops team, they're taking down the villains other heroes can't touch. They are the Birds of Prey. The Birds face a multitude of threats from outside and in! 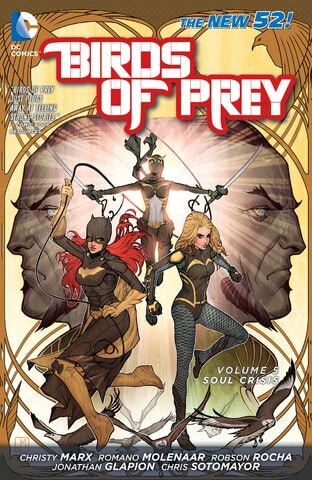 A dangerous new villains threatens to expose Black Canary's dark secret, and the Court of Owls sets its sight on everyone in Gotham for a 'Night of the Owls' tie-in. Plus, the girls bring a gravely injured Poison Ivy to the Amazon hoping to help rejuvenate her, but they're going to need her help more to stay alive! 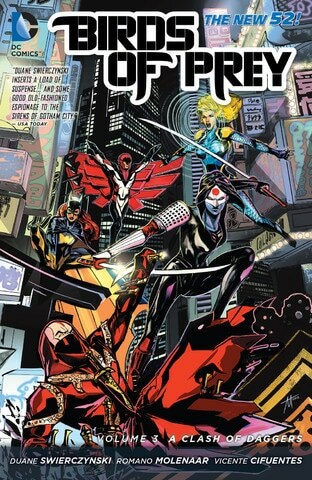 Collects BIRDS OF PREY #8-13. 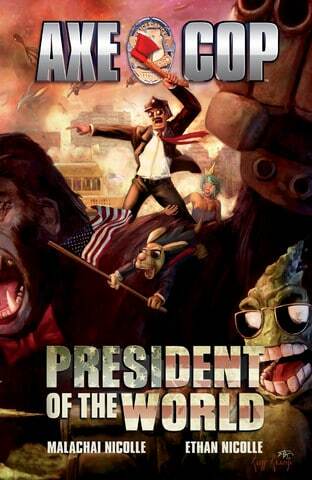 Axe Cop is now president of the whole world! 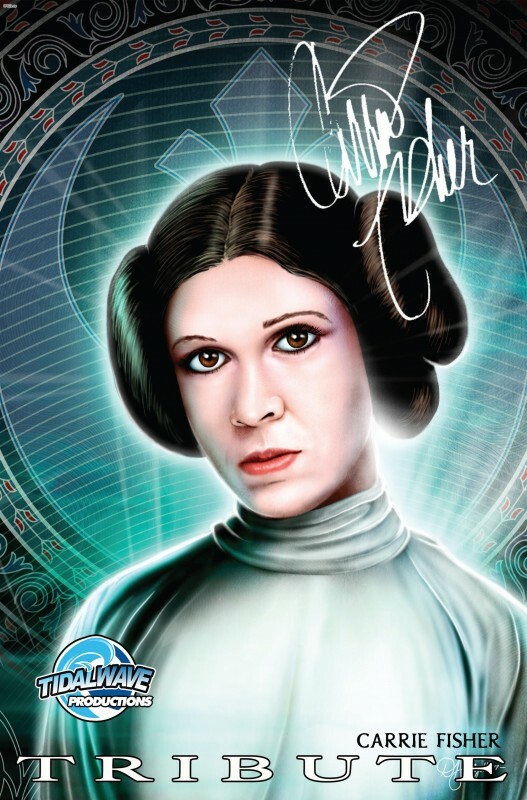 But a bunch of outer-space bad guys are on their way to Earth, and they're bringing big trouble with them! 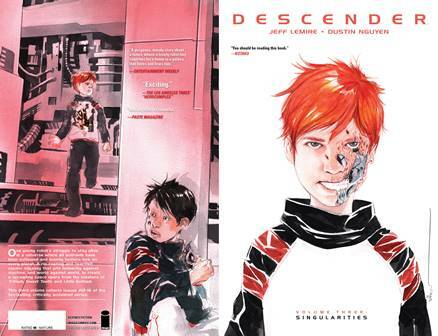 Collects the three-issue miniseries. Axe Cop will be part of a new Fox Animated television programming block! 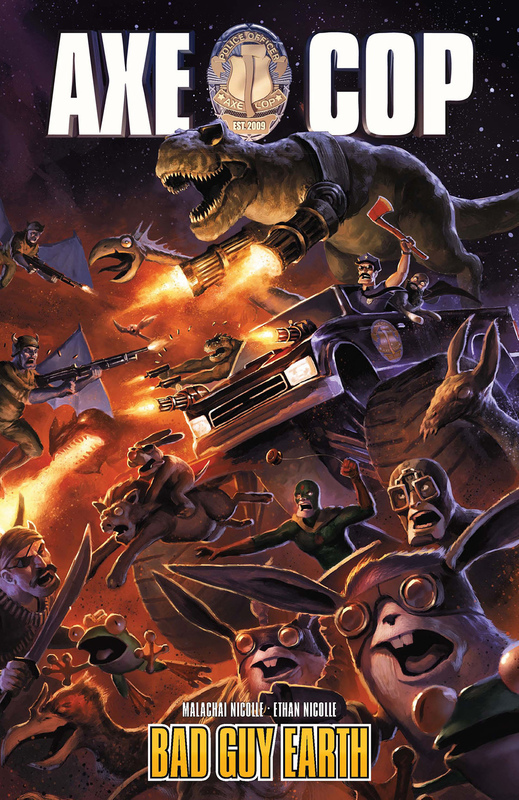 "Axe Cop returns with a collection of new, exciting, and unpredictable stories! Written by the endlessly inventive six-year-old Malachai Nicolle and drawn by his Eisner Award–nominated thirty-year-old brother Ethan Nicolle, Axe Cop joins his comrades Uni-baby, Bat Warthog Man, and Dinosaur Soldier to fight bad guys and restore justice for kids and grownups everywhere! Foreword by Lost scribe Damon Lindehof! Axe Cop Volume 1 has sold over 12,000 copies to date! ""Fun with a capital F."" -- Ain't It Cool News"
Now Axe Cop and Dinosaur Soldier are being treated like bad guys, not only by the police, but by the president and the army, too! But when a pair of psychic brothers barge in from outer space and turn the army into bad guys, who gets the call to set things right? Axe Cop! 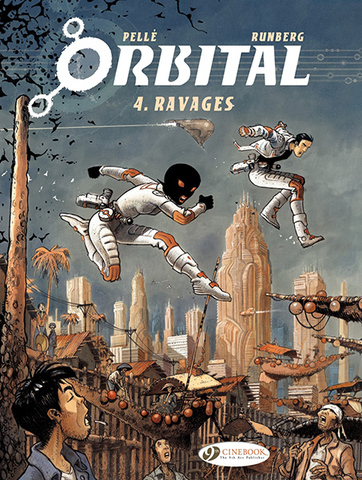 This volume, with art from Eisner nominee Ethan Nicolle, collects the three-issue miniseries. Bad guys beware! Evil aliens, run for your lives! Axe Cop is here, and he's going to chop your head off! 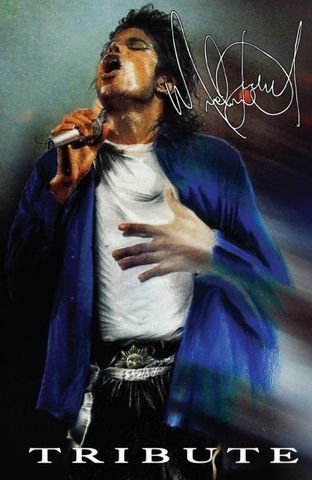 We live in a strange world, and our strange problems call for strange heroes. That's why Axe Cop — along with his partner Flute Cop and their pet T-Rex Wexter — is holding try-outs to build the greatest team of heroes ever assembled. Created by five year-old Malachai Nicolle and illustrated by his older brother, the cartoonist Ethan Nicolle, Axe Cop Volume One collects the entire original run of the hit webcomic that has captured the world's attention with its insanely imaginative adventures. 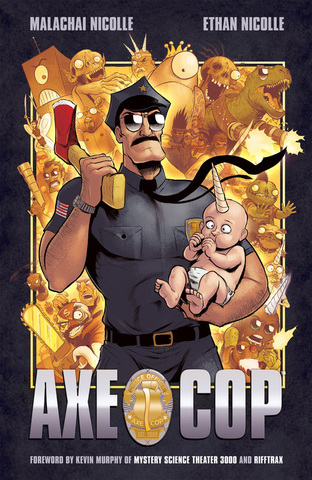 Whether he's fighting gun-toting dinosaurs, teaming up with Ninja Moon Warriors, or answering readers' questions via his insightful advice column, "Ask Axe Cop," the adventures of Axe Cop and his incomparable team of crime fighters will delight and perplex even the most stoic of readers. The unexplained deaths in the mangrove have not deterred authorities: The ceremonies will go on as planned in Kuala Lumpur, despite Mezoke’s resistance and growing disagreement with Caleb. But the official optimism is soon dampened by news of further destruction, closer to the city. 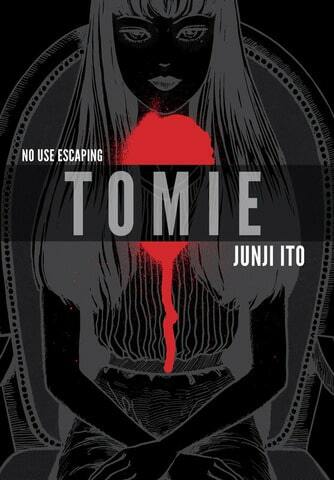 And when Nina and Angus return with the identity of the killer, an old enemy of the Confederation, the agents will be forced to act in desperation—and, maybe, to pay the ultimate price. 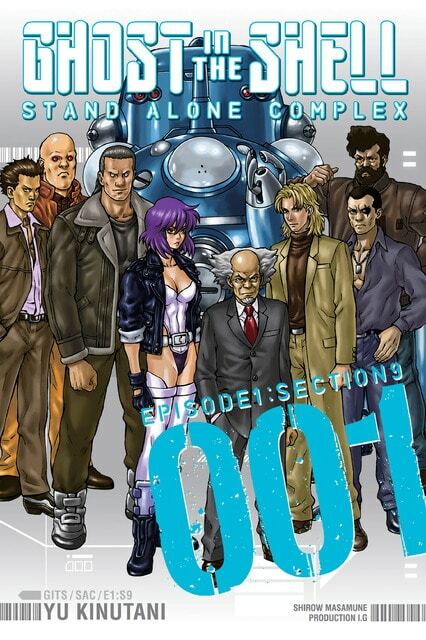 Stand Alone Complex takes place in the year 2030, in the fictional Japanese city of New Port. The story follows the members of Public Security Section 9, a special-operations task-force made up of former military officers and police detectives. 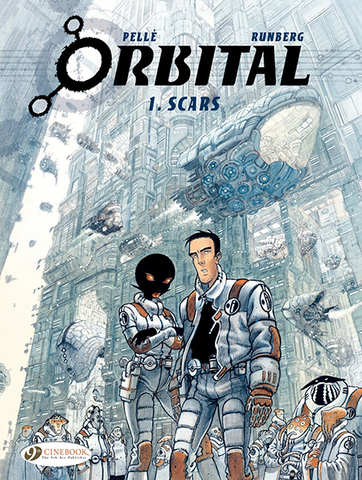 The manga presents individual cases that Section 9 investigates, along with an ongoing, more serious investigation into the serial killer and hacker known only as “The Laughing Man.” When a high-ranking government official is kidnapped, the Prime Minister must call in his top crime fighting force known as Section 9. Lead by the beautiful (and deadly) Major Kusanagi, the cybernetically enhanced squad must use all their skill to take down the kidnappers and rescue the hostages. But that’s only half of the mission; can Kusanagi and company find out who’s behind the kidnapping, and, more importantly, just what they’re after? Find out in this thrilling first volume of The Ghost in the Shell: Stand Alone Complex! During a protracted civil war that pitted the North against the South, the outnumbered Northerners used dark magic to create monstrous super-soldiers called Incarnates. 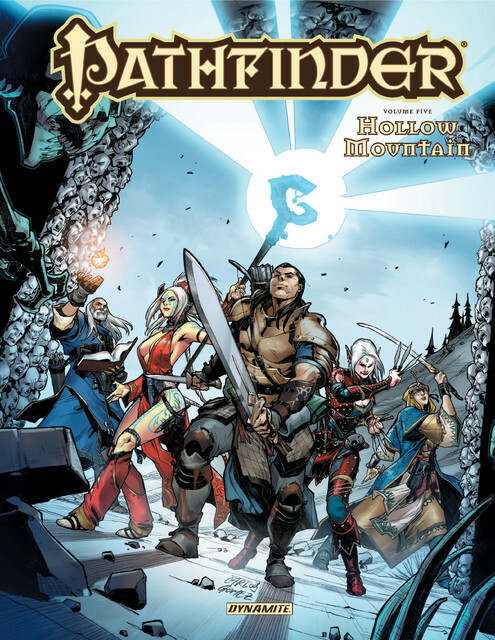 Now that the war has ended, those Sacred Beasts must learn to make their way in a peaceful society, or face death at the hands of a Beast Hunter. Nancy Schaal Bancroft, the daughter of an Incarnate, turns to hunting the hunter herself. 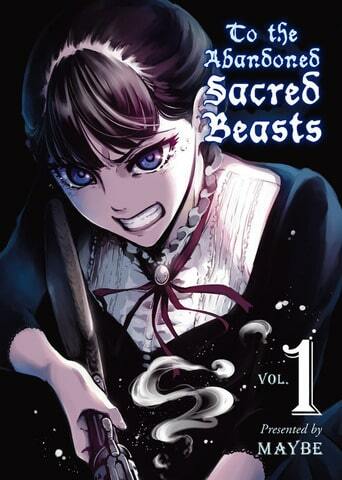 But once she catches up with her quarry, she discovers hard truths about the lives of these Sacred Beasts. Esteban, a young Indian orphan of twelve, sets off on a great adventure. He follows his dream: he gets aboard a whaler, takes on the open sea, becomes a harpooner. Impressed by his tenacity and courage, the commander of the Leviathan takes him on as a ship’s boy and they set off for Cape Horn. He’ll discover life aboard a whaler, the crudeness – but solidarity – of the sailors, and the harshness of their world.